The Alex Jaffe Mortgage Team now offers financing with no down payment from the buyer up to $704,300…and there is no income limit for the program! This FHA loan program is available to first time home buyers, repeat home buyers, and current homeowners. 100% total financing is made possible by 3.5% in down payment assistance from the Chenoa Fund. For households with incomes above 115% of area median income ($134,780 in DC), the 3.5% assistance is repaid. Home buyers may finance houses, row houses, condominiums, and 2-unit properties. For a condominium to be eligible, the association must be approved by FHA. Buyers are able to contribute additional funds to the down payment, but the primary loan cannot be less than 90% of the purchase price. 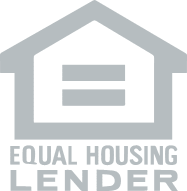 Non-occupying co borrowers (also called co-signers) are allowed, provided they will also be co-owners of the property and are also family members.